Craftsman, the iconic tool brand associated with Sears for the last 90 years, is coming to Lowe's -- one of Sears' biggest rivals. The move was announced Tuesday by both Lowe's (LOW) and Stanley Black & Decker (SWJ), the tool maker that bought the Craftsman brand from Sears Holdings (SHLD) in a deal valued at $900 million. Cash-starved Sears, which has said that there is "substantial doubt" that it can stay in business long term, will continue to sell the Craftsman brand under its agreement with Stanley Black & Decker. And it will get a percentage of all Craftman sales for the next 15 years from Stanley Black & Decker. 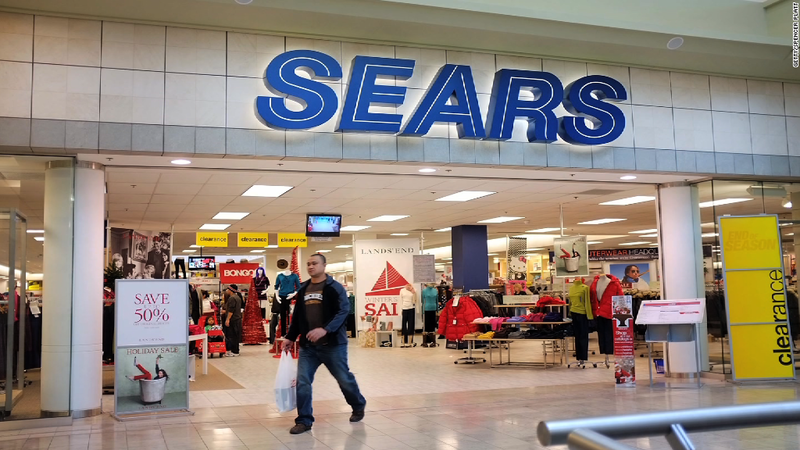 But for the first time ever the brand Sears created in 1927 will be found at a major big box store. The Craftsman products will appear in Lowe's stores starting in late 2018, the companies announced. It's not the first time another retailer has sold Craftsman products. Nearly 10% of sales went through other chains, as of January, including Ace Hardware. But this is a major step away from Sears being the primary outlet for Craftsman sales. The competition from Lowe's will only add to the growing difficulty Sears will have attracting customers into its shrinking number of stores. This summer it announced it would start selling its Kenmore-branded appliances on Amazon (AMZN). And it also disclosed this week that it will no longer sell Whirlpool (WHR) appliances sold under the Whirlpool, Maytag, KitchenAid and Jenn-Air brands. Part of the delay in getting Craftsman tools into Lowe's is the fact that Stanley Black & Decker is shifting Craftsman production back from overseas plants to U.S. facilities. It has announced plans for a new U.S. factory to build Craftsman products at a location yet to be announced. "Craftsman is still an incredibly strong brand, albeit one that is largely manufactured overseas and basically situated within one major retailer," said Stanley Black & Decker CEO James Loree back in January when the sale was announced. "We believe this is an excellent opportunity to invest in, re-Americanize and revitalize this legendary brand, ramp-up product innovation and broaden its distribution." At the time, Loree said it makes sense to produce the product closer to U.S. markets. "We already manufacture many products cost effectively in this country and, in some cases, we've been able to bring manufacturing back to the U.S. at a lower cost than producing overseas," he said in January. And while he didn't mention President Trump by name, he did say that given the possibility of border taxes in the future, "the reality is that it's going to be advisable to have more manufacturing in the U.S."